When my professor first told me to start thinking of potential blog topics I did what every responsible college student would do, push it off. I have never written consistently and the task of finding a specific topic that would’t get boring after two posts was intimidating. Initially, I thought of writing about travel or sports since those are the only two blogs I’ve ever really read consistently. I knew I’d definitely have to narrow down my focus so I began thinking of a way I could make the blog personal and interactive. 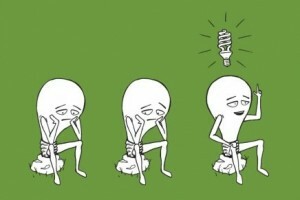 All of a sudden a light bulb went off and I had the perfect idea! For my blog I will be conducting a series of interviews with different student-athletes at Dickinson College, with the intention of providing insight into what college life is like for these individuals. In addition to providing their responses, I will be supplementing the interviews with some of my own experiences as a member of the men’s lacrosse team. Perhaps the most well known and respected media outlet for accessing interviews of athletes is ESPN. I love the format they utilize. Paragraphs are often broken up with pictures and bolded quotes in a large font. They also do a good job of localizing advertisements to the bottom of the page so the reader can fully focus on the story. Additionally, I want to incorporate a stylistic element that is used in Travel Blogger Interviews. Every post starts with a picture of the interviewee and is accompanied by a short bio. This allows the reader to feel connected to the subject from the very beginning. Personally, athletics have had an incredible impact on my life here at Dickinson. There have been really high highs and really low lows, but I wouldn’t change my experience for anything. As a senior in college I have the ability to look back at the last three years and see how I’ve grown as a person and reflect on the role athletics has played in this process. My coach is always telling the team how often alumni reach out and tell him that playing lacrosse in college has helped them with their careers and personal lives. Over the next few months I hope to illustrate what my coach is talking about by providing first hand accounts of different athletes and make this blog come to life.